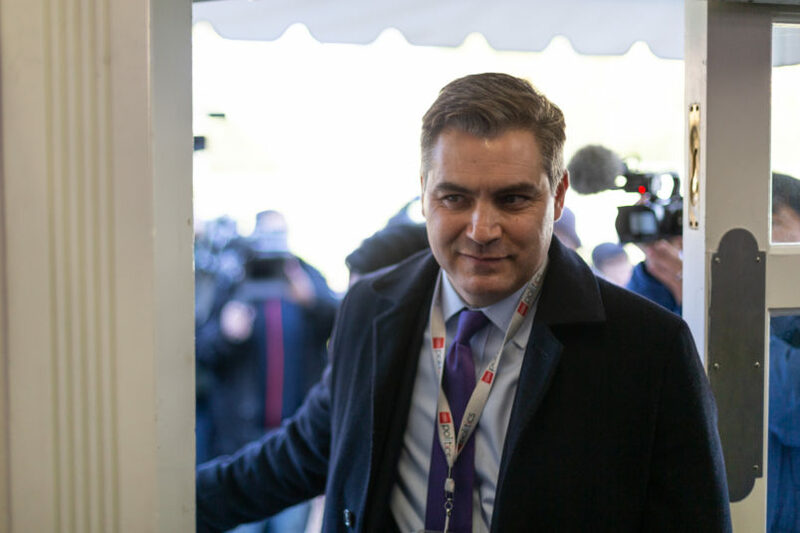 The White House on Monday abandoned its plan to suspend CNN reporter Jim Acosta’s press pass for a second time after the expiration of a federal judge’s 14-day restraining order, instead warning Acosta to abide by a series of new rules for members of the media. TPM has reached out to the White House for a copy of the letter it sent CNN Monday. In response to the White House threat Friday that it would re-suspend Acosta’s press pass — Sanders and Shine called it a “preliminary decision” in a letter Friday night and demanded Acosta respond by 5 p.m. on Sunday — CNN’s lawyers on Sunday contested the decision and asked the court to hear their argument for a preliminary injunction. “Put simply, the White House’s illegal reaction after the November 7 press conference cannot be made legal now by applying an after-the-fact concocted process,” they wrote to the White House. The White House said Friday that, should Acosta contest the “preliminary decision,” it would make a “final determination” by Monday at 3 p.m. Shortly after that time, CNN announced that the White House had dropped the matter. We have created these rules with a degree of regret. For years, members of the White House press corps have attended countless press events with the President and other officials without engaging in the behavior Mr. Acosta displayed at the November 7, 2018 press conference. We would have greatly preferred to continue hosting White House press conferences in reliance on a set of understood professional norms, and we believe the overwhelming majority of journalists covering the White House share that preference. But, given the position taken by CNN, we now feel obligated to replace previously shared practices with explicit rules. We are mindful that a more elaborate and comprehensive set of rules might need to be devised, including, for example, for journalist conduct in the open (non-press room) areas inside and outside the White House and for Air Force One. At this time however, we have decided not to frame such rules in the hope that professional journalistic norms will suffice to regulate conduct in those places. If unprofessional behavior occurs in those settings, or if a court should decide that explicit rules are required to regulate conduct there, we will be forced to reconsider this decision. The White House’s interaction with the press is, and generally should be, subject to a natural give-and-take. President Trump believes strongly in the First Amendment, and a free press and is the most accessible President in modern history. It would be a great loss for all if, instead of relying on the professionalism of White House journalists, we were compelled to devise a lengthy and detailed code of conduct for White House events.